Project Upcycle: Holloway Eyewear's ‘Entombed’, Alice Sutton's ‘In Motion & Full Circle’ and Ellie Mucke's ‘Padma Petalz’. Next time you’re about to throw out your life-giving coffee capsule, halt! You could be saving them to make a dress, some fantastic accessory or maybe even a sculptural masterpiece. Or you could just recycle it and leave the fancy stuff to the real artists. This is exactly what Nespresso did, commissioning six Australian artists known for their sustainable ethos to create original artworks, encouraging people to recycle the company’s ‘Grand Cru’ coffee capsule. As part of Project Upcycle, each artist created a piece using the capsules and other sustainable materials. John Dahlsen’s ‘Ecolaboration’ is a sculpture loosely based on the Australian landscape. John is well known for his work with all sorts of found materials. Holloway Eyewear presented an eyewear and watch series called ‘Entombed’. Its designers, who regularly utilise scavenged and recycled materials, used a custom-made hole punch to create different shapes from the capsules for a decorative effect. 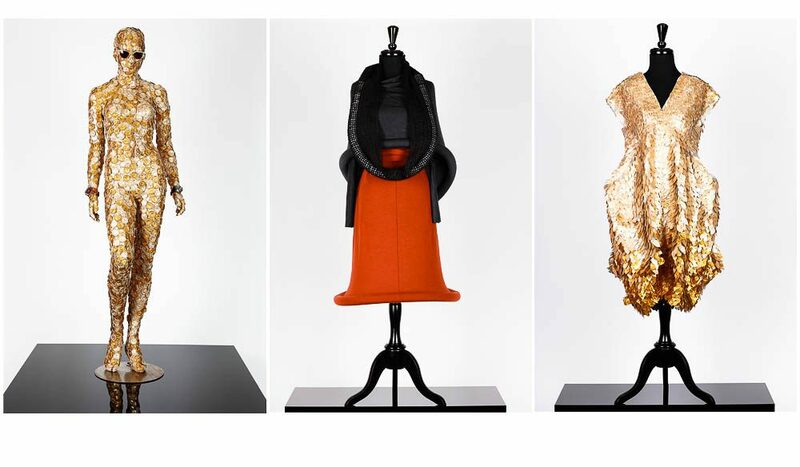 The wearable art extended to clothing and jewellery by Alice Sutton. Her piece ‘In Motion & Full Circle’ used stacked capsules in the merino wool and bamboo fabrics of the hemline to create a unique shape. Alice believes people are moving away from “fast fashion” and now want reusable materials which will stand the test of time. Ellie Mucke, whose goal is to utilise second-hand clothing to create sustainable high-street fashion, created a dress called ‘Padma Petalz’. What kind of walker are you? Are these Australia’s 10 best beaches? Katrina Freene’s, whose range of eco-jewellery is made from 100 per cent recycled biscuit tins and tea trays, came up with ‘Capsule Lifecycle’. Sean Avery, creator of a sculpture called ‘Pangolin’, is passionate about deconstructing everyday items and reconstructing them into inspiring artworks. 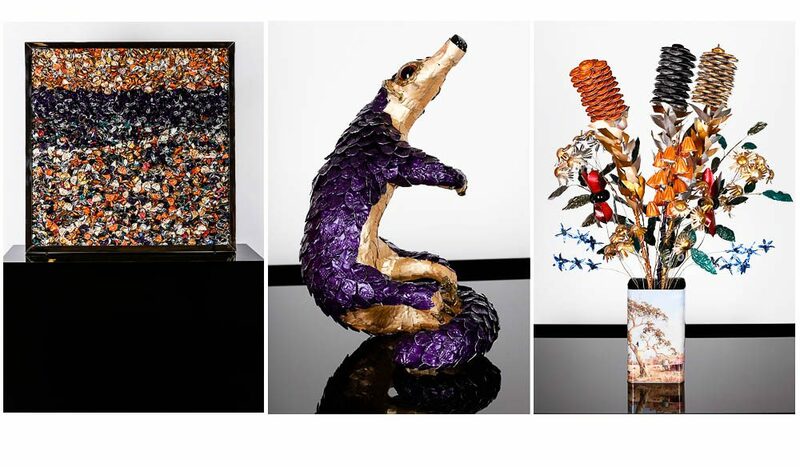 The pieces will be displayed in Nespresso stores during August. The company has set up recycling stations in each of its stores to contribute to the project.